Ever since Honda announced in 2013 that the Accord would come in a Sport trim, with available six-speed manual transmission, I've often wondered if the Accord Sport would be a better deal than the Civic Si. For starters, both cars were very similarly priced and had essentially the same engine. For the price, the Civic did come with more features, a little more horsepower, sharper handling, and a limited slip differential. With the Accord, you got a much larger and more grown-up looking car, and that was pretty much it. Ninth gen versus ninth gen, I would have gladly taken a Civic Si home before taking the Accord Sport home. Things are different with the tenth generation though. 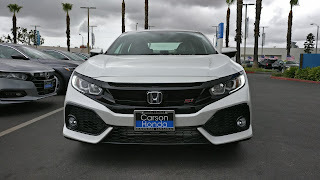 Both cars are much more feature rich than their predecessors, and the Accord Sport now actually has two engine options: a slightly up-tuned version of the 1.5 liter turbo four from the Civic coupe, sedan, and hatchback, and a de-tuned version of the 2.0 liter turbo four from the Civic Type-R. Unlike the previous generation though, the price difference has become much more significant. The Accord Sport 1.5T starts at an MSRP of $25,700 while the Civic Si stars at an MSRP of $24,100. I actually looked at the Accord Sport 2.0T, which adds an additional $4,580 on top of the base MSRP, making the Accord Sport 2.0T a $30,000 car. So the question isn't so much which is the better car for roughly the same price. The question has now become, "is the Accord Sport worth the extra $6,000 over the Civic Si?" 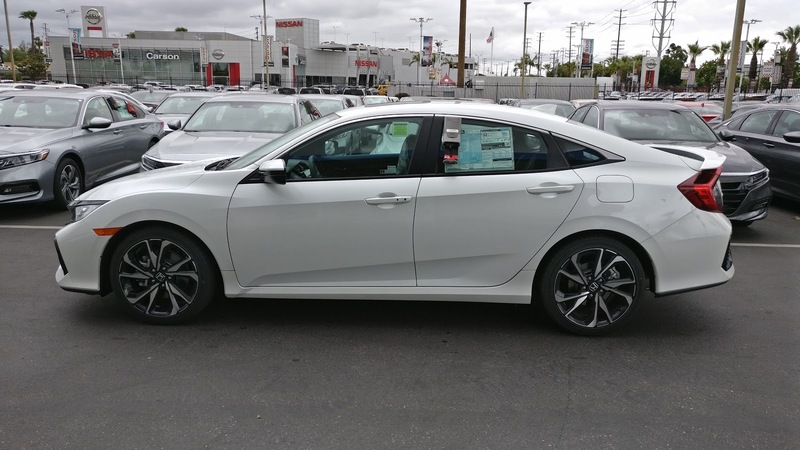 As luck would have it, a local Honda dealer had both an Accord Sport 2.0T and a Civic Si Sedan available, so I decided to take a look at the cars side-by-side to determine if the Accord is worth the extra money. I'm not going to go too deep into the design elements of both cars since design is highly subjective, and probably won't justify the price difference alone. I will say that I do like the looks of both cars, and that like the previous generation, the Civic is much more aggressive and sporty while the Accord is much more grown up and reserved. What I will talk about though is what you get going from the Civic Si to the Accord Sport. The main thing you get going from the Civic to the Accord, besides getting an obviously larger vehicle, are LED headlights. Even though the Civic in Touring trim also has LED headlights, the Si still gets halogen bulbs in projector housings. Other obvious things are the larger wheels and tires, but from an actual content standpoint, the exterior probably doesn't justify the extra $6,000. When it comes to the interior of both cars, this comparison is a little difficult. Both cars sport a very similar single screen touchscreen infotainment system and an LCD gauge cluster. 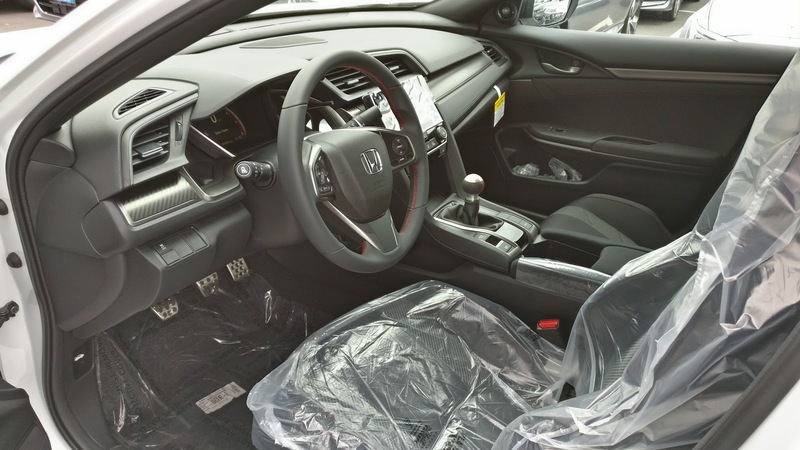 Both cars are largely swathed in cloth and plastic, though the Accord does get some leather accents. 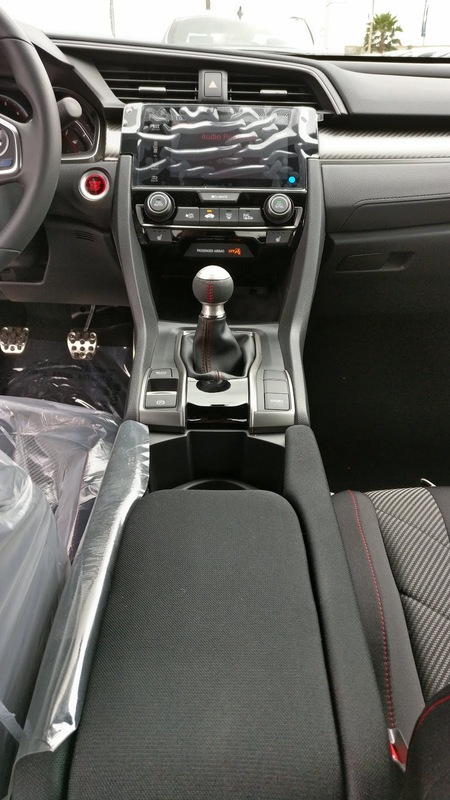 What you do lose going from the Civic to the Accord is the Si exclusive red stitching and the better bolstered seats. Both cars have comfortable seats, but the Si's sport buckets do a better job of holding the driver in place. The Accord makes up for its lack of flare with lots of space. 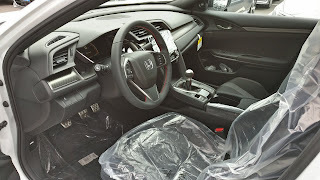 Even though the 10th generation Accord is physically shorter on the outside than the last gen car, its wheelbase is longer, allowing Honda to increase the interior volume yet again. Climbing into the back of the Accord, it felt even more cavernous than our ninth gen Touring, which was already very spacious already. That's not to say the Civic is tiny. While the Civic is quite roomy, it doesn't really hold a candle to the Accord. Let's be honest though, we're talking apples and oranges here since it's two different class of car. Really, the interior comparison comes down to what's more important to you: space or panache. Still, extra space and what is objectively the same equipment (OK, the sound system in the Civic is better) doesn't quite yet justify the extra $6,000. 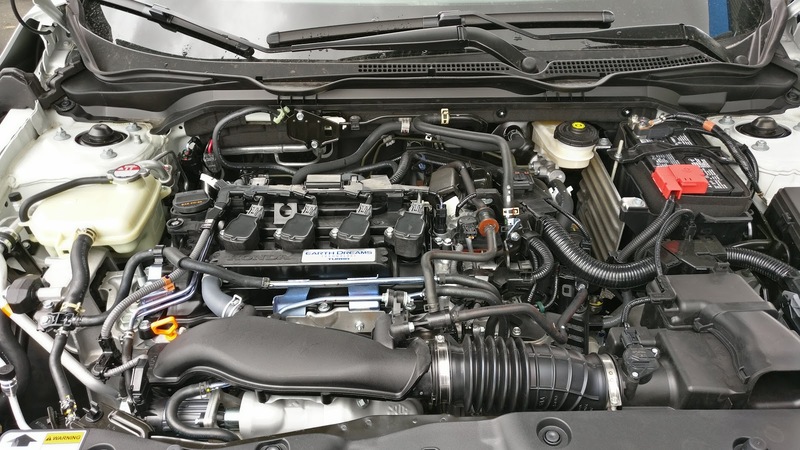 Here is where the Accord starts to justify its extra cost. The Civic Si is no slouch, making 205 horsepower and 192 lb./ft. of torque. 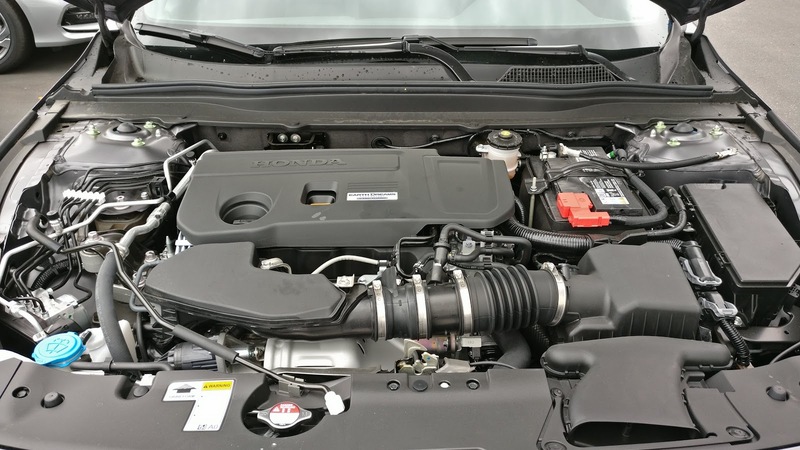 Many auto websites and publications have taken the Si to a dyno and have confirmed that they were getting those numbers at the wheel, indicating that Honda underrated the crank power figures by around 15%. With its de-tuned Civic Type-R engine though, the Accord is obviously going to be faster, especially considering that the same auto websites and publications that dynoed the Si were also getting Honda's "on paper" power figures at the wheels. That's 252 horsepower and 273 lb./ft. of torque to the wheels, by the way. So we know the Accord is going to be significantly faster than the Civic, but does it at least handle the same? The Civic Si really shines on the handling front compared to the Accord. 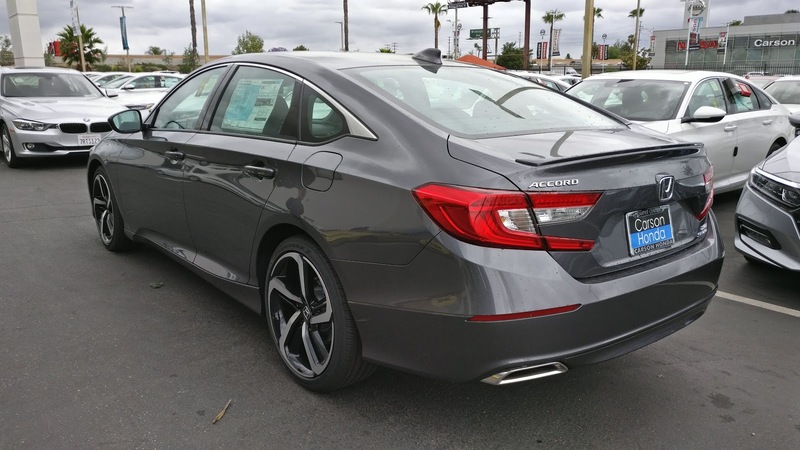 Being a smaller car on a shorter wheelbase already gives the Si an advantage in handling. Also working in the Civic's favor are the standard adjustable dampers. 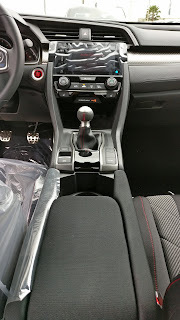 In eco and normal, the Civic Si is pretty comfortable, and in Sport mode, the dampers stiffen up nicely and make the car handle much more confidently. Being a larger car, the Accord unfortunately doesn't handle as well. While the Accord does come with the adjustable dampers, it is unfortunately only available on the Touring trim. It makes no sense why they would be left out of the Sport trim since the Accord Sport is supposed to be the sport sedan of the Accord bunch. I will say that while the Sport doesn't handle as well as the Si, it does handle better than our ninth generation Touring. Having the smaller and lighter engine up front definitely helps. 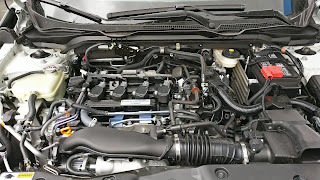 Some other performance based factors are the brakes and transmission. The Civic's brakes feel much more firm and seem to stop the car harder and faster. This is no surprise considering it is a smaller and lighter car. The Accord's brakes feel just about as good as they were on the ninth gen Touring, which is to say they're decent, but I wouldn't spend a day canyon carving with them. The transmission is a bit of a mixed bag between these two. The actual transmission in the Civic Si feels far superior to the Accord Sport. It feels more precise and the throws are shorter. The Accord's transmission feels a little plasticky and mushy by comparison. However, the clutch is where the cars flip flop. The Civic's clutch feels extremely light and the engagement point is relatively high up in the pedal travel while the Accord's clutch feels nicely weighted with the engagement point about half way up the pedal travel. I'm curious as to why they couldn't just take the good parts of both transmissions and apply it to both cars. At first glance, it would appear that the technology included in both of these cars is fairly similar...and that's actually correct. 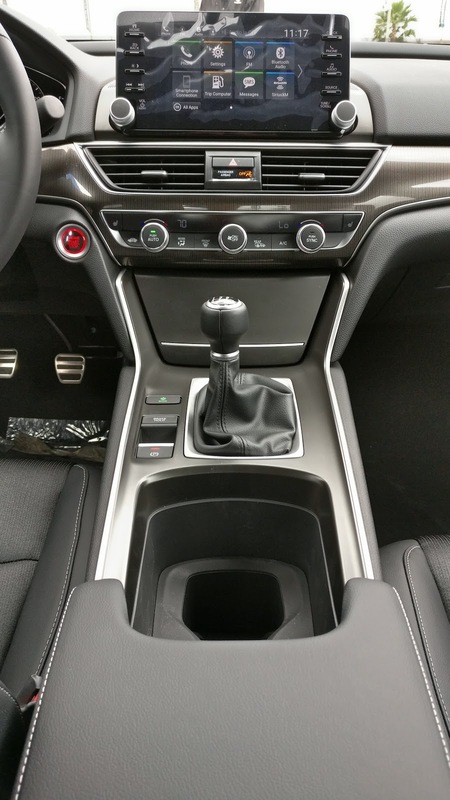 Both cars sport a large center touch screen complete with Android Auto/Apple CarPlay, electronic parking brake, LCD gauge clusters, backup cameras, and everything you'd expect to be standard on a modern day automobile. Where the Accord trumps the Civic is with its power seats and LED headlights, and where the Civic trumps the Accord is its better sound system. The Civic still uses the "Lane Watch" camera, which has a rear pointing camera mounted on the passenger side mirror. The Accord takes a page from sister company Acura and switches to conventional Blind Spot Monitoring. Really though, the technology in these two cars is fairly similar, so I'd call this category a wash. I wanted to look at driver assistance as a separate topic because today's driver assistance packages are far more complex than just simple cruise control. 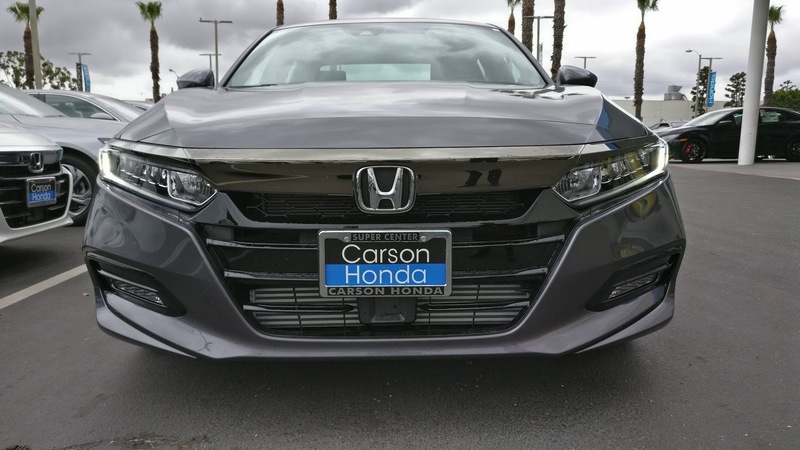 Every Honda Accord, regardless of trim, now comes standard with the latest version of Honda's driver assistance package, dubbed Honda Sensing. This includes Lane Keep Assist, Active Cruise Control, Road Departure Mitigation, and Collision Mitigating Braking. In models with CVT and automatic transmissions, you also get Low Speed Follow, which allows the vehicle to come to a complete stop and start again with the flow of traffic. On manual equipped models, like this Accord Sport, Low Speed Follow is left out as it would cause the car to stall if the driver didn't shift gears in time. With all four systems active, the Accord exhibits level 2 autonomous capabilities. 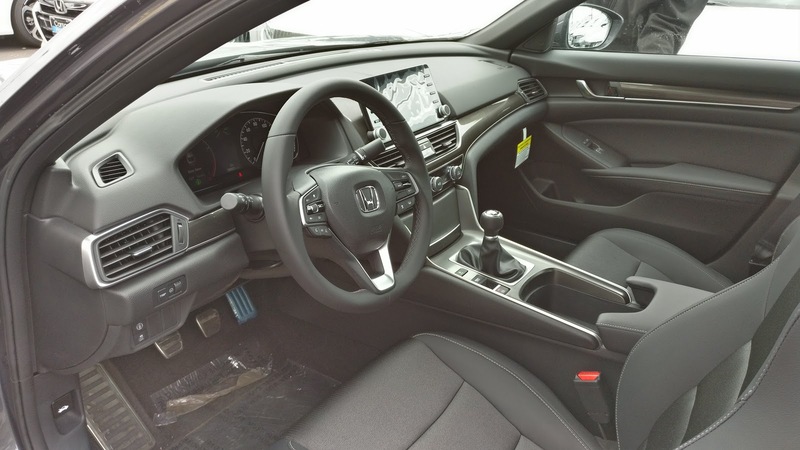 This means the Accord can accelerate, brake, and steer the vehicle on its own, provided the driver's remains alert with their hands on the wheel. So let's take a look at the Civic Si's driver assistance package...oh...wait...it doesn't have it. Just standard cruise control. Sad considering Honda Sensing is available on all other trims of the Civic (except the Type-R). Womp womp. After all this comparison and analysis, the question remains: is the Accord Sport 2.0T really worth the extra $6,000 over the Civic Si? For an extra $6,000 you get a larger, more mature looking car, a much more powerful engine that makes the car a hoot to drive, LED headlights and a level 2 autonomous driver assistance package. What you lose is sharper handling, adjustable dampers, and, arguably, a better sound system. 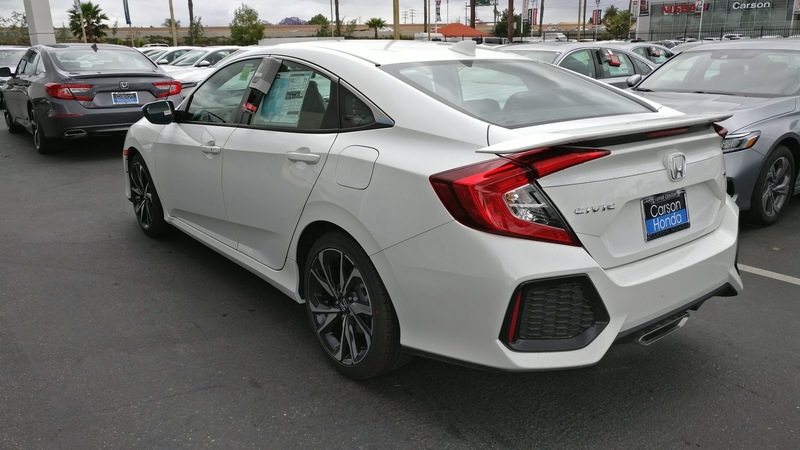 If higher performance in your daily driver is what you're concerned with, then the Civic Si is probably the better choice. With the money saved, you can spend $695 to get the ECU re-flashed and make the car nearly as quick as the Accord. 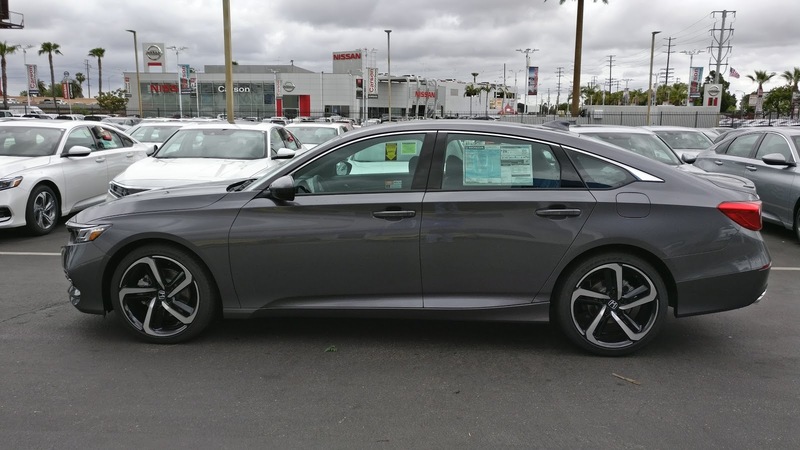 If you want a good mix of performance and comfort though, the extra $6,000 you would need to spend on the Accord Sport would probably be worth it. At the end of the day, it really just boils down to what your needs are. Which one would I take? If it came down to it and I absolutely had to pick one, I would take the Accord over the Civic. While the transmission bothers me a bit, the fact that the Accord is a larger car with a more powerful engine is really what pushes me towards it. Having a larger vehicle with a softer suspension setup is really what I'm looking for in a daily driver after all. The extra horsepower certainly helps too. While I do like the way the Civic Si looks, I much prefer the Accord's cleaner lines over the Civic's more aggressive and angular look. There's a good chance I probably prefer the Accord over the Si because I'm getting old too. 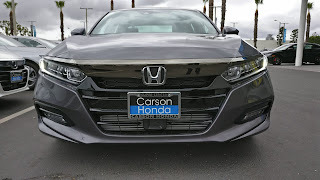 *Special thanks for Carson Honda for letting test drive the Accord and Civic back-to-back for this comparison.